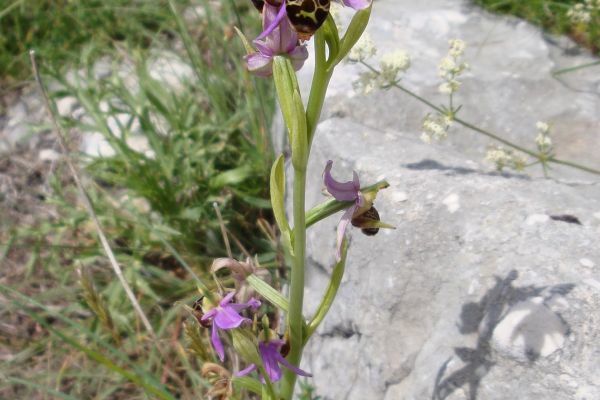 Montenegro - little known, unspoilt, beautiful and wild - beckons walkers, wildlife and botany enthusiasts, and history lovers alike. 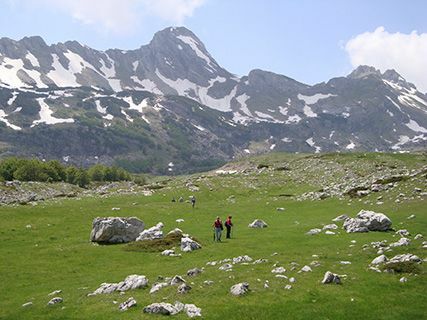 During this 11-day itinerary, we walk through dramatic mountain scenery in several of Montenegro’s national parks, our paths bordered by colourful displays of wild flowers and accompanied by soaring birds of prey. 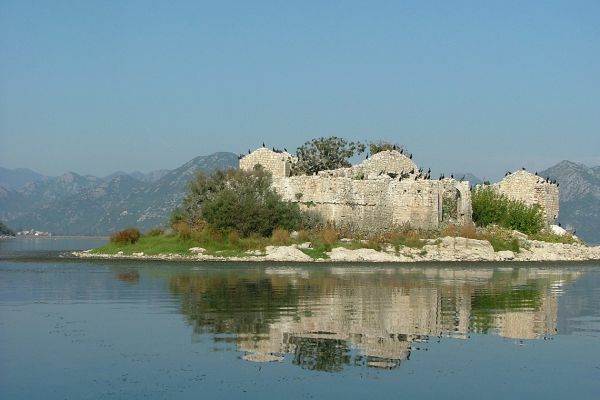 We enjoy an afternoon exploring by boat the Balkan’s largest lake, Lake Skadar, a national park and a Ramsar designated wetland. Throughout the trip we are immersed in Montenegro’s complex and colourful history and culture, culminating in a three-night stay in the captivating coastal town of Kotor - a world heritage site, and one of the gems of the Adriatic. Exhilarating days are complemented by nights in comfortable hotels, carefully selected for their character and location. Here we enjoy unsurpassed local hospitality as we sample distinctive Balkan cuisine accompanied by eminently drinkable wine. We meet in the afternoon at Dubrovnik airport from where a short road transfer into the mountains takes us over the border into Bosnia-Herzegovina. Near the town of Trebinje, we visit the monastery of Tvrdos, founded in the 15th century and nowadays particularly renowned for its award-winning wines. Time-permitting, we walk along the Trebišnjica river valley past still functioning water mills, and then conclude our afternoon with a walk through the old Ottoman quarter of Trebinje. Our comfortable 3-star hotel in the town overlooks the plane tree-filled square, and has a good restaurant offering typical Balkan dishes, such as lamb with grilled red peppers, garlic and rice. A scenic mountain road takes us over a pass into Montenegro. We take a short walk to see a 4th century Roman bridge and have lunch in a rustic restaurant with wooden terraces set above a small river. 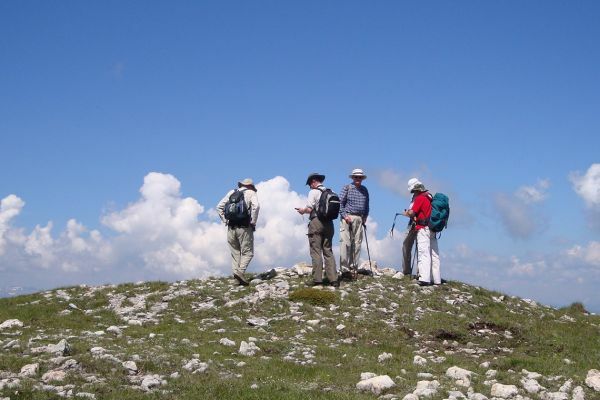 This afternoon’s 2-hour walk begins on a broad, upland plateau and offers extensive views of the Durmitor mountains to the west. We pass flocks of sheep with attendant shepherds and observe Montagu’s Harriers hunting the grassland. One of the undoubted highlights of the walk are the ‘Bogomil Carvings’ - the necropolis of 13th century stećci, some of the 60,000 elaborately carved monumental tombstones scattered throughout Montenegro and neighbouring countries. In the village of Zabljak, located at an altitude of 1456 m in the middle of the Durmitor National Park, our modern 3-star hotel (for 2 nights) has well-equipped rooms with mountain views. A short drive through pine and birch forest brings us to the start of a walk to the edge of the spectacular Tara canyon, the longest and deepest in Europe (at certain points the drop is a sheer 1,300 metres). 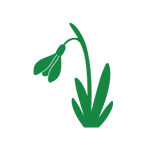 Griffon vultures, crossbills, nutcrackers and red squirrels may be seen as we walk through mixed forest and meadows en route to our picnic. 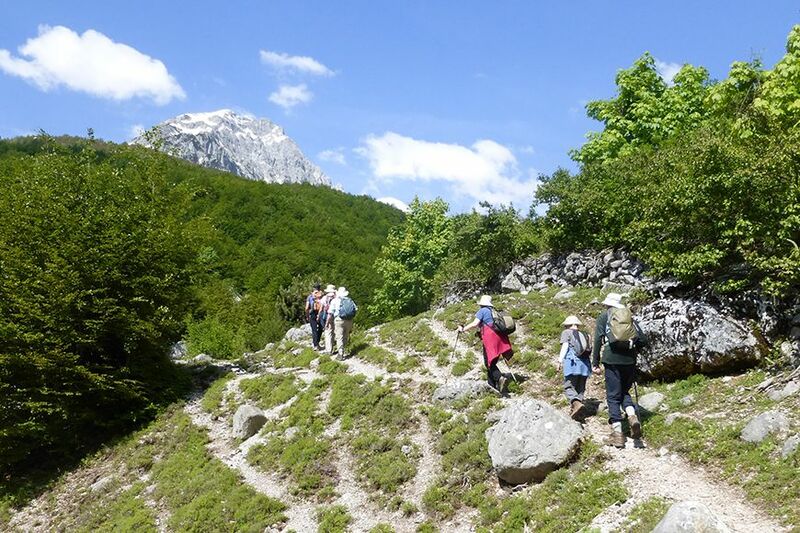 In the afternoon, we circumnavigate one of Mount Durmitor’s glacial lakes, Crno Jezero, the Black Lake, located at an elevation of 1,416 m. We search for wild strawberries and blueberries amongst the gentians, saxifrages and wild thyme. 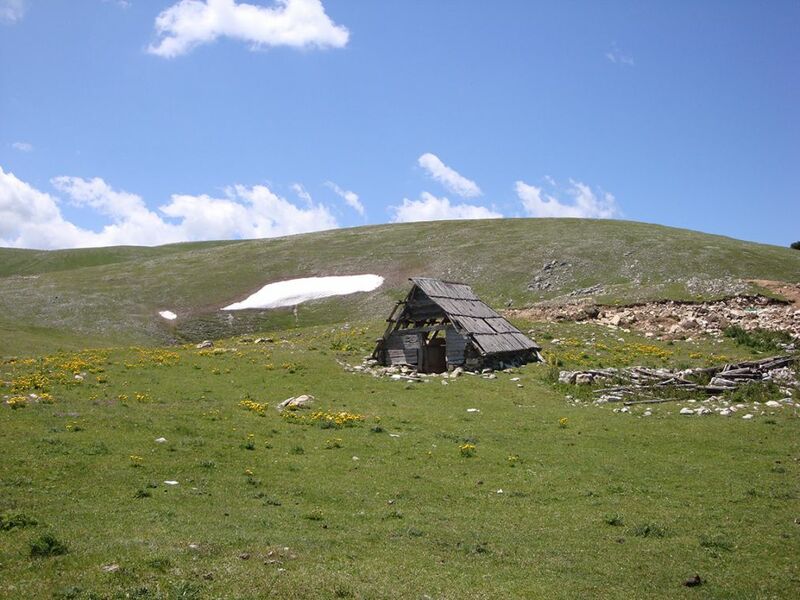 A narrow track takes us into the heart of the Durmitor National Park, a magnificent mountain wilderness with 27 peaks over 2,200 metres and healthy populations of (rarely seen) brown bears, wolves and lynx. 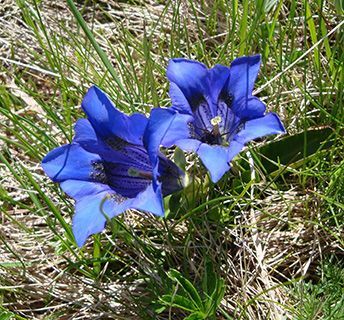 On foot, we cross a pass where snow finches and alpine choughs are often seen, and we search for high altitude flowers, particularly gentians and crocuses as we gradually descend a wild valley with superb views of the surrounding peaks. Heading east by vehicle, we pause to see the 365-m long bridge which spans the Tara river. In 1942, a Yugoslav Partisan raiding party blew up the central arch thus halting the Italian advance through the country. 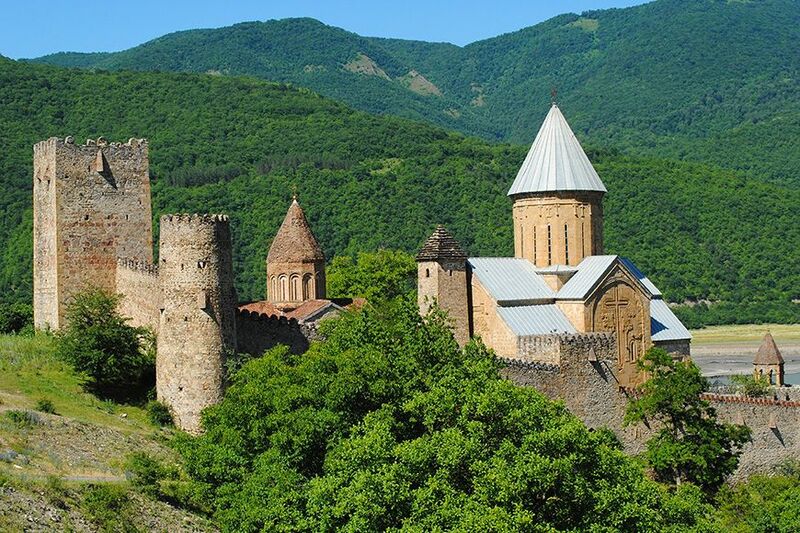 We follow the Tara canyon down to the isolated Dobrilovina monastery, where the nuns unlock the heavy wooden door to allow us to see the early 17th century frescoes. We check into our 4-star hotel, strikingly designed in wood and stone, for 3 nights. A scenic drive along the Bistrica river valley brings us to a village close to the border with Serbia. From here, we walk gradually up (300 m over 6 km) to the 17th century monastery of St Nikola, where we picnic and may sample the local apple or plum rakija (brandy). Our return journey takes us into the Biogradska National park, renowned for its huge diversity of flora and fauna and its glacial lakes. Surrounded by magnificent virgin forest, we take a short walk round one of these lakes, before dinner in a typical old tavern. We travel to the starting point of today’s walk by jeep. 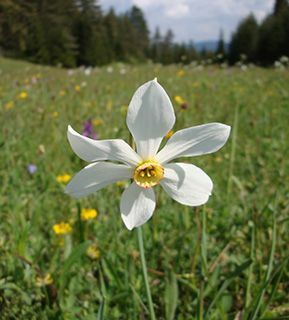 Beginning at an altitude of 1,790 metres, our full day’s walk crosses the mountain range of Bjelasica, characterised by rounded volcanic tops, valleys filled with primeval beech and hornbeam forest, and upland meadows with cornelian lily, gentians and vanilla orchids. We watch for soaring golden and booted eagles. 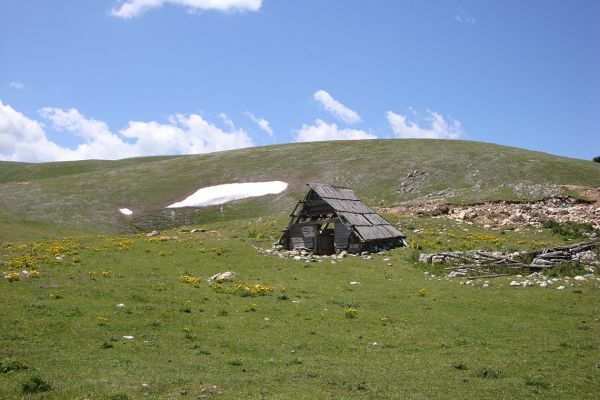 We are privileged to have lunch with a family of shepherds at their katun (wooden summer shelter), before continuing over two small, steepish passes and gradually down to a mountain tarn. 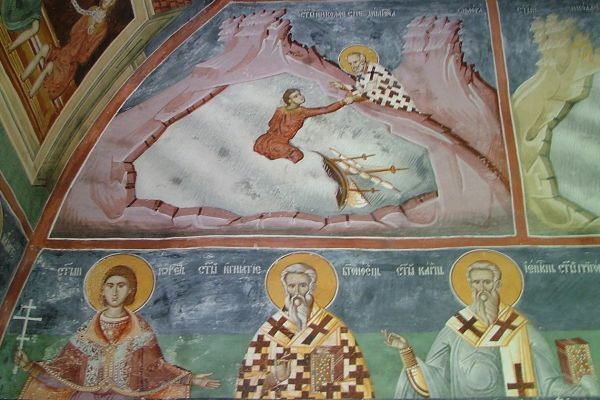 Today, we travel south along the Morača river canyon and visit its famous 13th century Serbian Orthodox monastery with outstanding Byzantine frescoes. Late morning, we reach Lake Skadar - a vast freshwater lake straddling the borders of Albania and Montenegro, surrounded by dramatic karst mountains. After lunch, a local guide takes us on a boat trip on the Lake, which has been included in the Ramsar list of wetlands of international importance since 1996. Host to more than 260 species of birds, the lake is noted particularly for pygmy cormorant colonies and rare Dalmatian pelicans. Our 3-star village hotel has a restaurant well known for fish dishes flavoured with mountain herbs collected by the owner. Today begins with a visit to the National Park information centre. We travel north on a little-used mountain road with broad vistas and many wildflowers and cross the triple-arched mediaeval bridge at Rijeka Crnojevica. Late morning, we arrive in Cetinje. Founded in the 15th century, Cetinje was the former Royal capital of Montenegro and became both a cradle of Montenegrin culture and an Orthodox religious centre. We take a walk around the town centre, followed by lunch. In the afternoon, we drive down into the beautiful Bay of Kotor, sometimes called Europe’s most southerly fjord. We settle into our 4-star hotel in the centre of the walled mediaeval town (a UNESCO World Heritage site). The remainder of the afternoon is free for exploring Kotor’s heritage of Venetian architecture, including St Tryphon’s Cathedral (completed in 1166) and numerous Renaissance palaces built by wealthy patricians, merchants and sea captains. In the cooler early evening, there is an optional steep walk on the 15th century walls to the Fortress and St Ivan’s castle. 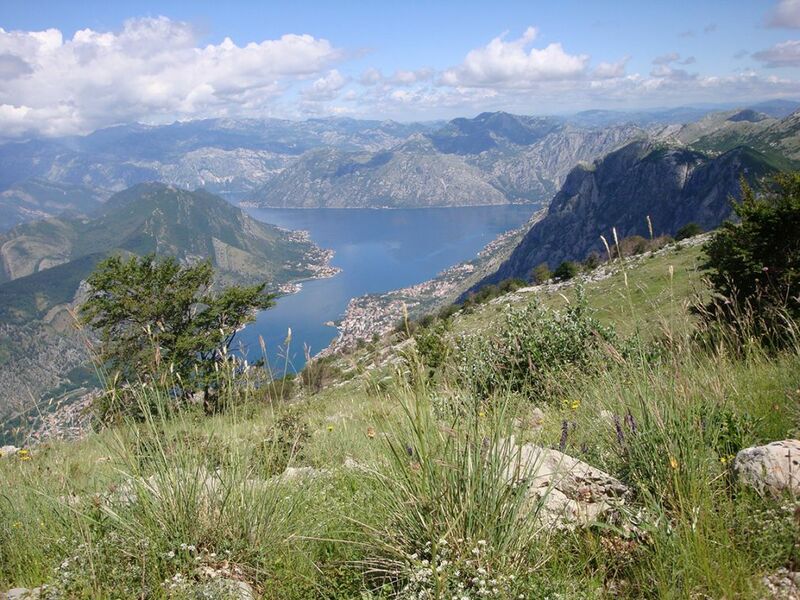 We make our way slowly up the incredible hairpin road above the Bay of Kotor and into the Lovcen National Park. At a striking mountain-top Mausoleum (weather permitting) we pay homage to Njegos, the nineteenth century Prince-Bishop of Montenegro who is widely regarded as the country’s most famous son. 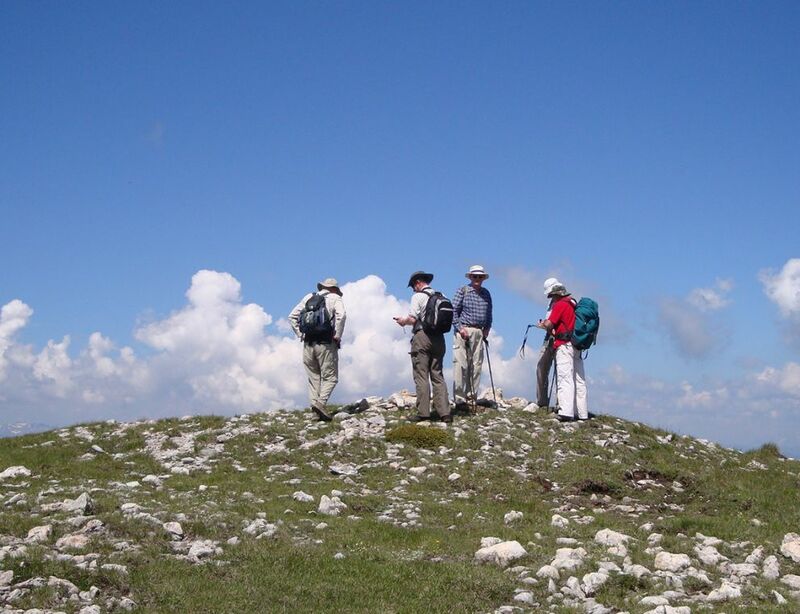 Our walk today is on rocky mountainous slopes, rewarded by spectacular views and the huge variety of flora and fauna for which the park is famous: within an area of just 60 square km., there are nine different habitats. 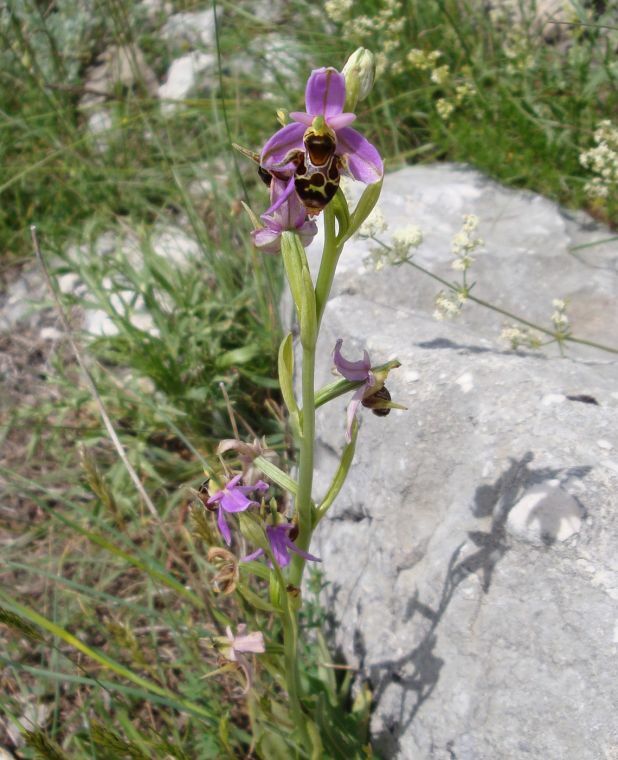 It is particularly excellent for orchids (lesser butterfly, fragrant, green-winged, Bertolini, woodcock, bug and pyramidal), and for birds (hoopoe, red-backed shrike, peregrine, honey buzzard and wheatears). This evening, we dine in a famous old restaurant on the coast. Today begins with a visit to the remains of the Roman Villa Urbana in nearby Risan, with fine 3rd and 4th century floor mosaics containing geometrical and vegetable motifs, as well as the exceptionally rare presentation of Hypnos, the classical God of Sleep. 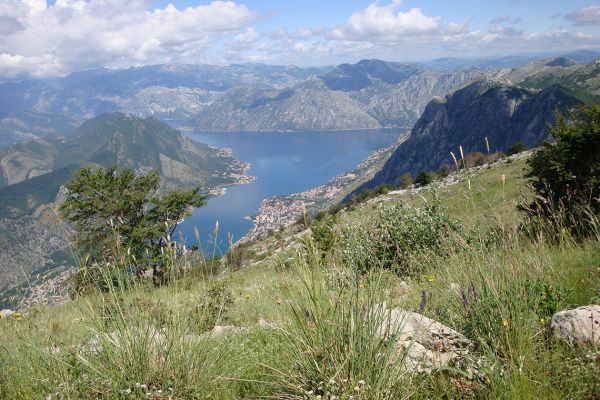 We then drive onto the top of the massif which dominates the Bay of Kotor, for a spectacular walk following the old Austro-Hungarian packhorse route. 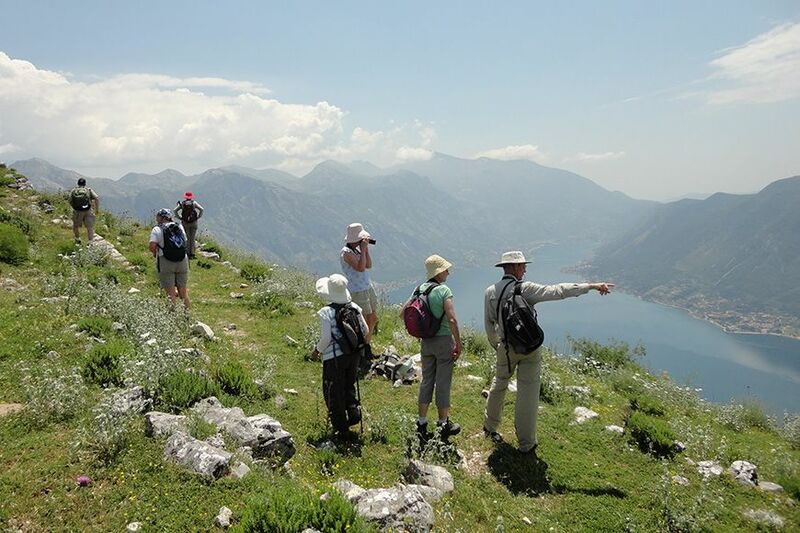 After a rest and a snack, enjoying the stupendous views, we descend to Perast. This once rich and powerful waterfront town boasts 16 churches and 17 formerly grand Venetian Gothic palazzi, many of them now just picturesque ruins. A small museum recalls the town’s illustrious nautical past. In the 18th century, Perast had a fleet of 1,000 ships and Peter the Great sent his officers to learn marine engineering and cartography here. 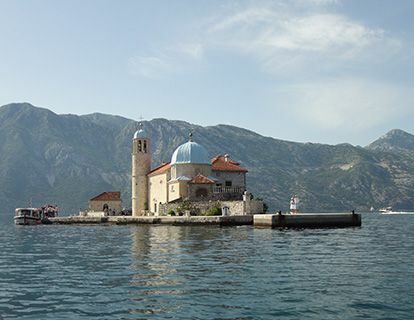 We take a small boat over to Our Lady of the Rock island to see the votive church there and return to Kotor for our farewell dinner in the best seafood restaurant on the harbour. We drive along the coast to cross the border into Croatia en route to Dubrovnik airport for late morning flights home, or on to Dubrovnik itself for an optional extension in this coastal jewel of a city. Please note that the single room supplement is imposed by the hotels and not by Kudu Travel. If you are willing to share but no other suitable guest books on the trip, we regret that the supplement will be payable. We shall endeavour to obtain double rooms for single occupancy whenever possible, but hotels in some countries do have single rooms that are small and less well positioned - in this case the supplement is simply ensuring your privacy. Visitors from the EU, USA, Canada and Australia currently require a valid passport, but not a visa, for entry to Montenegro, Bosnia-Herzegovina and Croatia. If you are a national of any other country, please check visa regulations with your nearest relevant Embassies. At present there are no specific and compulsory health requirements for entry to Montenegro, Bosnia-Herzegovina and Croatia. You may also wish to check the advice given to travellers by the Department of Health and the FCO. 8 walking days, 2 – 7 hours daily. Most tracks are rough and stony, so lightweight hiking boots with ankle support and a proper ridged sole are essential. Walking poles are also very useful. 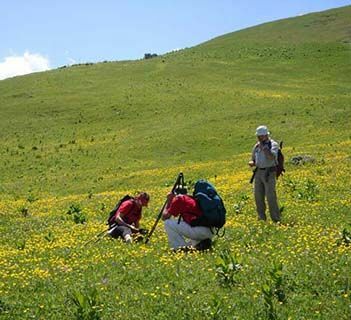 Temperatures in the mountains in June temperatures vary between 21°C during the day and are as low as 9°C in the evenings. 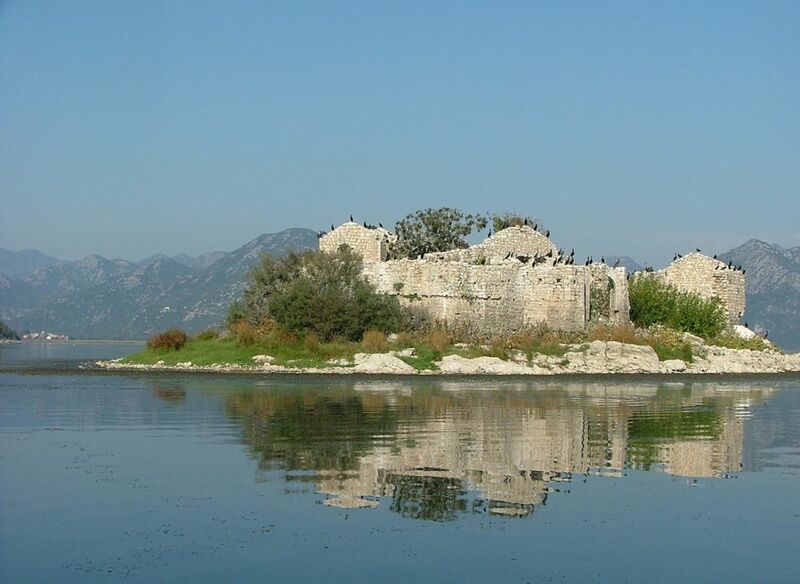 On Lake Skadar and the coast, the range is 16 - 26°C.